The director of the oldest and most famous theater in Russia, who arrived in Kazakhstan to sign memorandums with the opera and ballet theaters, highly praised the technical training of Kazakhstan artists. 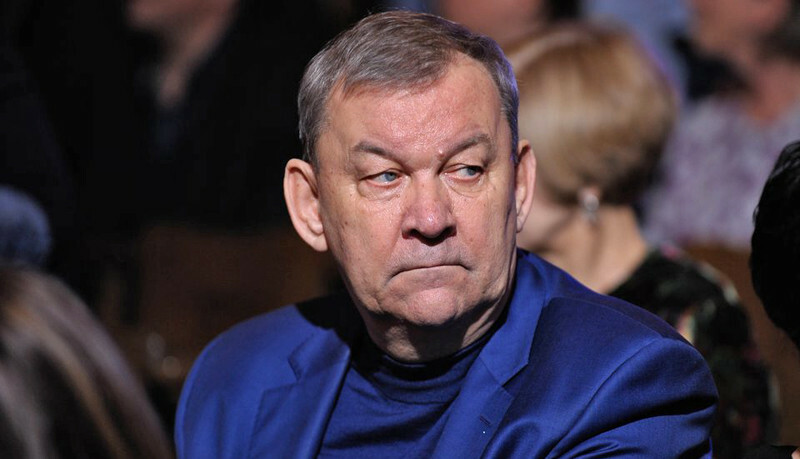 Before the official signing of cooperation agreement, Vladimir Urin visited the “Astana Ballet” Theater and was delighted. In a private conversation with the leadership and the creative team, he noted that to have such an architectural structure in the country's cultural arsenal is a great happiness. The director of the Bolshoi Theater was not only told about the technical possibilities and the multi-genre repertoire of “Astana Ballet”, but also was showen how all this “magic” works on the stage. The special twenty-minute program includes excerpts from the most interesting productions, as the “Salome” choreographer - Mukaram Avakhri, “In The Middle, Somewhat Elevated” by William Forsythe, “A Fuego Lento” by the invited choreographer Ricardo Amarante, as well as the miniature “Asem konyr” choreographer - Aigul Tati. «Kazakhstan ballet has its own individuality. Everything I saw here, except Forsythe, is done on your stage. You do not repeat what many ballet theaters are doing today, you make your own product, you have your own creative individuality. This makes you very different from the others», - Vladimir Urin shared his opinion after watching the program. According to him, the «Astana Ballet» Theater, despite its youth, has «great perspectives» ahead. And in many respects, as the director of the Bolshoi Theater noted, it is thanks to creative choreographers and strong soloists. “Despite the fact that I saw today a modern ballet, the dancers nevertheless brilliantly learned classical technique. This is important in modern ballet, because it is already a completely different level of performance class for any modern choreography”, - he noted. According to him, the «Astana Ballet» Theater, despite its youth, has «great perspectives» ahead. The director of the Russian theater promised: when the great ballet «The Legend of Love» will appear in the repertoire of the Theater, Kazakhstan artists will be invited to dance on the stage of the Bolshoi Theater. By the way, the premiere of the well-known creation of the no less famous Russian choreographer Yury Grigorovich in Astana Ballet is scheduled for this summer. And the exchange of soloists will be possible from February 2019, thanks to the signing of memorandums of cooperation between the Russian and Kazakhstan theaters. “We will definitely invite your soloists to dance on our stage, because they understand and feel their national peculiarity, probably, even much better than our artists. For all that, we have wonderful dancers”, - said the director of the Russian theater. It is worth noting that today the Bolshoi Theater is actively developing English choreography, collaborating with many well-known companies in the world, such as “Metropolitan Opera”, “English National Opera”, and the “Royal Theater Covent Garden”. In the near future, according to the director, on the Bolshoi stage, the staging of the Christopher Wildon's performance “Winter Tale” is planned. From this year, the “Bolshoi” intends to begin active cooperation with Kazakhstan theaters. In the vision of Vladimir Urin, this should not be the partnership of «Elder and younger brother», but equal cooperation, taking into account the considerable experience and value of two capital companies, like «Astana Ballet» and «Astana Opera». “I would really like us to exchange soloists, because you have great guys. I still do not know well your technical component, but at the Bolshoi Theater there is a huge number of amazing technicians. I think for you, as for the young theater, it will be useful. I really hope for the possibility of mutual exchanges of groups, tours. Although, I must say, where a desire is present, there will always be opportunities”, - he noted. The director of the Bolshoi Theater expressed confidence that the points of contact between the theaters would be found, and the promising cooperation would not be a formal, but a friendly and equal partnership in the creative field.